The LVM Nature Park in Tērvete offers active recreation in forest environment, possibility to get to know forest stories and participate in activities together with the energetic Dwarf family also during winter season. Tērvete forest with its great pines has no drowsy days! In January the nature park, which is always awake, holds creative environmental workshops “Winter secrets”. This possibility, in the less active season, has been used by companies by organising “being together” events for their employees and their families. Adults – with winter programme, hot tea and sparkling eyes for 1.5 hour long programme in forest environment – were welcomed by Forest Witch. However, little ones went to the Dwarfs’ Cottage, where together with the affectionate and lovely dwarf family they learnt about the secrets of forest and winter and worked in the woodworking workshop. Of course, not forgetting a joyful time together at the dwarf town “Čiekure”. All through January visitors were invited to get to know environmental stories “Read nature's letters” together with the active Dwarf family. The lead character of the stories is Latvia's Bird of the Year 2019 – hazel grouse Bonasa bonasia! 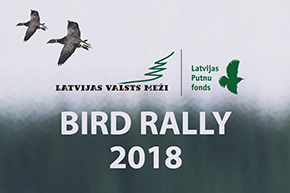 Until now nature friends and active recreation lovers in winter were actively participating in the Dwarfery by creating their own grouse plumage pattern, getting inspiration from the beautiful, Latvian and fine colour range and plumage of hazel grouse. Of course, members of Dwarf family shared their wisdom and gave useful advises. While pine forest is covered with a white blanket of snow, and thermometer has stayed stable below zero, then it is the right time to go and enjoy winter fun! We invite to spend your free time actively by enjoying winter activities in fresh air! In Nature Park in Tērvete, next to the Information Centre, free of charge natural ice skating-rink is in the making. You will also be able to skate with your own skates. Follow further information! Soon the skating-rink will be open! February is on its way, in Nature Park in Tērvete it will bring blizzard stories and candle light. In February the always busy Dwarfs’ Cottage will have creative, educational and exciting atmosphere. Receive happiness in the LVM Nature Park in Tērvete! Let it snow, let it be cold, let's feel the winter and its breath!